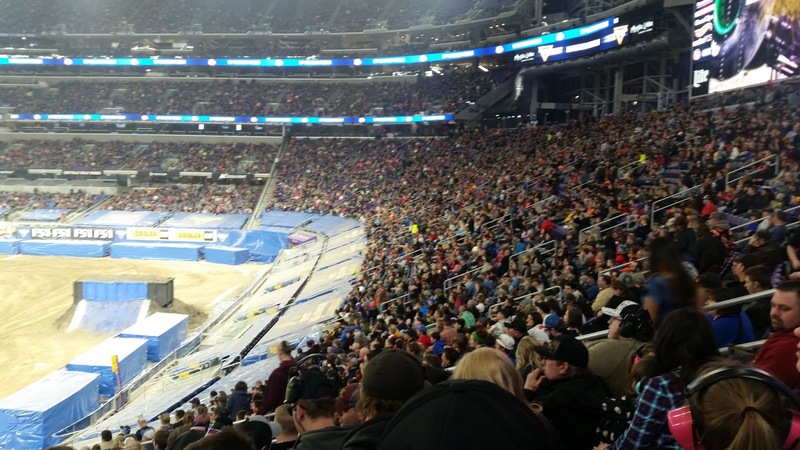 Two drivers from the Upper Midwest stole the hardware in front of their hometown fans during Monster Jam at US Bank Stadium. 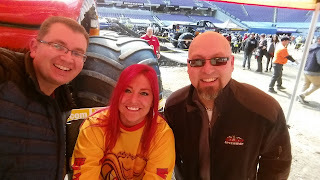 Brainerd Minnesota native Becky McDonough (above) thrilled the crowd by tearing the horns off her Monster Truck El Toro Loco while also nailing the backflip in route to achieving the top score and taking home another Monster Jam Freestyle Trophy at US Bank Stadium. Another local driver, Cole Venard from Murdo South Dakota, was the upset winner of the Racing portion of Monster Jam at US Bank Stadium, he won all four races in this bracket style competition driving the Black Pearl. 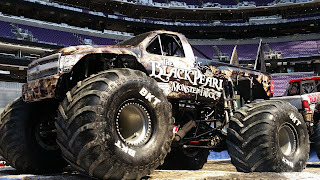 Fourteen Monster trucks participated. Venard beat Monster Truck royalty Ryan Anderson in Son-uva Digger in the Racing final. The Two Wheel Skills Competition was won by Tom Meents from Paxton IL driving Max D. His car control was nothing short of amazing by doing the reverse nose wheelie and moonwalk. 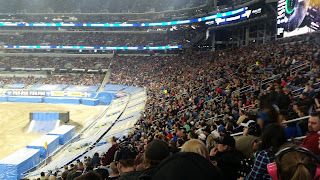 Ryan Anderson had electrical and mechanical problems all night long but there was a very nice crowd in attendance, the program started right on time at 7pm and concluded at 9:35pm.